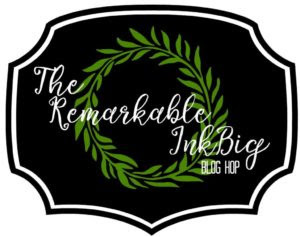 Welcome to the Remarkable InkBig Blog Hop for November 2017. 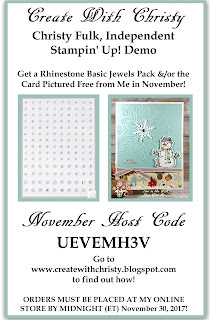 This month our theme is Holiday Tags! 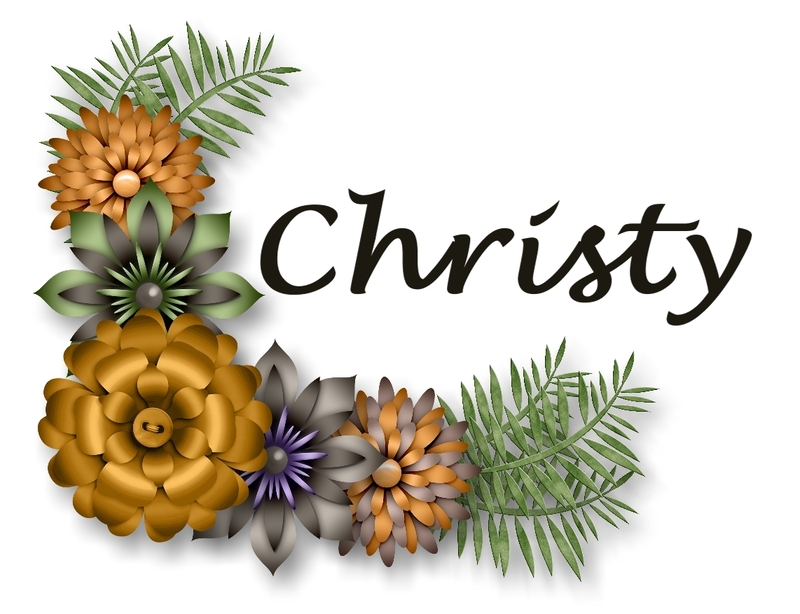 You may just be starting the blog hop here at my blog – Christy Fulk @ Create With Christy or may have come from the person previous to me in the list. If you get off track at any time, the full lineup below will help you move along from blog to blog so you see all the projects. This was one of the projects that was made at my last stamp camp. I haven't posted them anywhere yet. When I saw the theme of the blog hop, I knew it was time to share them! I had so much fun making these tags and box. The box is the Pizza Box in the Holiday Catalog. As you can see, two of each tag was made to fill the box. Once the tags are used, the box makes a perfect little gift box. Some of my ladies said that they were going to put the tags onto cards, instead of using them as gift tags. I think that's a great alternative idea, too! I'm including the dimensions for each tag, in case you want to make them yourself. The tags and box are pretty self-explanatory, but I've also included some basic instructions for you. First step for all of the tags: The top, short edge of the tag bases were punched with the Scalloped Tag Topper Punch. Optional: The "For..From" stamp from the Merry Little Labels Stamp Set was stamped onto the back of each tag, except for the Bethlehem one. For that one, it was stamped onto a 3" x 2" piece of Whisper White Cardstock, punched out with the Everyday Label Punch, and then attached to the back of the tag using SNAIL Adhesive. The last step for all of the tags: The ribbon pieces were all folded in half. Then, beginning from the back of the tag, the loop was pulled through the tag opening, and the ribbon ends were threaded through the loop. Then, pull on the ribbon ends to tighten it onto the tag. Then, the ribbon ends were trimmed at an angle. The snowman stamp from the Seasonal Chums Stamp Set was stamped onto one end of the Whisper White piece with the Tuxedo Black Memento Pad. 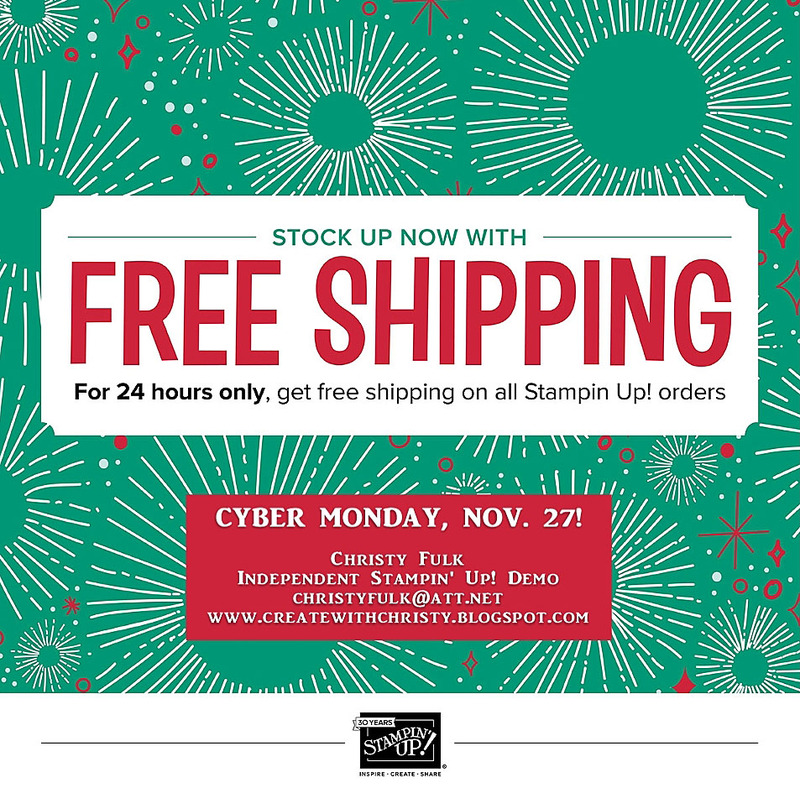 It was colored in with the Smoky Slate, Cherry Cobbler, Old Olive, and Pumpkin Pie Stampin' Blends Combo Packs. The right edge of the snowman was colored with the Light Smoky Slate Stampin' Blend, and it was softened up using the Color Lifter Stampin' Blend. The snowman was die-cut with the snowman die from the Seasonal Tags Framelits. The top of hat was then trimmed around. The DSP was attached across the bottom of the tag. Then, the silver washi tape was put across the top of the DSP, and the tape ends hanging over were cut off. The snowflake die was die-cut from the opposite end of the Whisper White piece, and attached to the top, left corner of the tag with a Mini Glue Dot. A large rhinestone from the Rhinestone Basic Jewels was colored with the Dark Old Olive Stampin' Blend while it was still on the paper backing, and attached to the middle of the snowflake. The snowman was attached to the right side of the tag using Stampin' Dimensionals. The DSP piece was attached across the middle of the tag base. The narrow gold tape pieces from the Year of Cheer Specialty Washi Tape were attached across the top and bottom of the DSP layer, and then the tape ends were trimmed off. The gold-design tape was attached across the bottom of the bottom gold tape, and the tape ends were trimmed off. The "let it snow" stamp from the Merry Little Labels Stamp Set was stamped onto one end of the Whisper White piece using the Old Olive Classic Stampin' Pad. It was then punched out with the Everyday Label Punch. A label was punched out of the Cherry Cobbler piece using the same punch. The Cherry Cobbler label was cut in half (from one long end to the other long end). One half was attached to the back of the stamped label, making sure the top of the Cherry Cobbler half shows from the front. The other half was attached the same way, but to the bottom. Then, the whole thing was attached to the center of the tag using Stampin' Dimensionals. The star was die-cut out of the Silver Glimmer Paper with the star die from the Bethlehem Edgelits Dies. It was attached to the top, center of the tag base with a Stampin' Dimensional. The top point of the star went over part of the tag opening. The shorter city-scape die was die-cut from the larger Shimmery White piece. The die-cut was cut into two pieces by cutting in-between the tall, skinny building and short, wide building. The half with the tall skinny building was attached across the tag, directly below the star, with SNAIL Adhesive. The ends that were hanging over the edges of the tag base were cut off. The other half was attached across the tag, about a 1/2" lower than the first, with Stampin' Dimensionals. The ends that were hanging over the edges of this piece were cut off, too. The Mary & Joseph stamp from the Night in Bethlehem Stamp Set was stamped onto the smaller Shimmery White piece using the Night of Navy Classic Stampin' Pad. Then, it was die-cut with its coordinating die. It was attached to the bottom of city-scape using SNAIL. Thick Whisper White: 2" x 3-1/2"
The DSP piece was attached across the bottom of the tag base. A sunburst circle was punched out of the Gold Glimmer piece with the Starburst Punch. It was then attached to the center of the tag with SNAIL. The Wrapped in the..." stamp from the Snowflake Sentiments Stamp Set was stamped onto one end of the Whisper White piece using the Soft Suede Classic Stampin' Pad. It was then punched out with the Everyday Label Punch. The swirl die from the Swirly Snowflakes Thinlits Dies was die-cut out of both Silver Foil pieces. SNAIL Adhesive was put onto the back of the stamped label, along the top and bottom edges. Each swirl was then attached to the back of the label, over that adhesive. Then, the whole thing was attached to the center of the tag using Stampin' Dimensionals. Cherry Cobbler: 3-1/4" x 3-1/4"
Cherry Cobbler 1/4" Double-Stitched Ribbon: 5" & 4"
The box was assembled so the shiny side was on the inside of the box. The DSP piece was attached to the center of the Cherry Cobbler piece. The longer ribbon piece was wrapped around the bottom of the piece, and the ribbon ends were attached to the back of the Cherry Cobbler piece with scotch tape. The smaller ribbon piece was tied onto the left side of the attached one with a single-knot. The ribbon ends were then trimmed at an angle, and the whole piece was attached to the center of the box lid. The "Special Delivery..." stamp from the Merry Little Labels Stamp Set was stamped onto the center of the Whisper White piece using the Cherry Cobbler Classic Stampin' Pad. It was die-cut with the second, largest oval die from the Stitched Shapes Framelits Dies. It was then attached to the top, left corner of the box at an angle. The reindeer stamp from the Seasonal Chums Stamp Set was stamped onto the Crumb Cake piece with the Tuxedo Black Memento Pad. The antlers and hooves were colored in with the Dark Crumb Cake Stampin' Blend, the inside of the ears and the spots were colored in with the Light Crumb Cake Stampin' Blend. The bow and nose were colored in with the Dark Cherry Cobbler Stampin' Blend, and the bell was colored in with the Dark Daffodil Delight Stampin' Blend. The reindeer was then die-cut with the reindeer die from the Seasonal Tags Framelits Dies. The top of the antlers were then trimmed around. 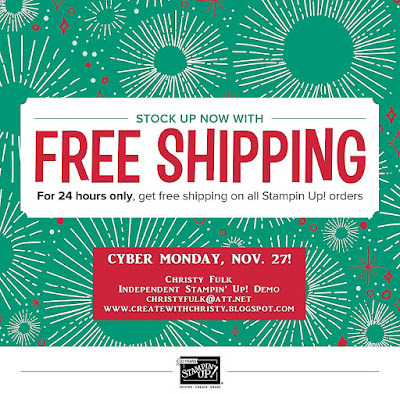 The reindeer was attached to the bottom, right corner of the box with Stampin' Dimensionals. Thanks for taking part in our blog hop, there are so many amazing ideas and inspiration you don’t want to miss. 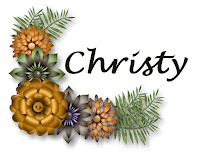 Remember that currently, you are at my blog – Christy Fulk @ Create With Christy, so check the blog hop line up list below to see who is next on the list. 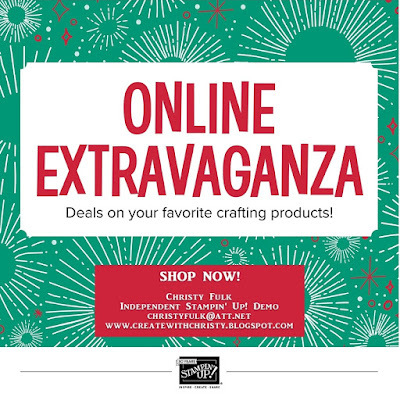 SALE ENDS TONIGHT @ 11:59 PM (MT)!